If you are trying to lean out and gain muscle, you definitely want to keep on reading. 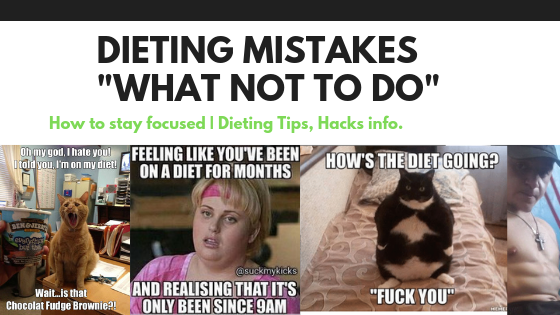 A lot of people make a lot of mistakes when they are trying to diet. Now, let's define the term, "Diet." What comes in mind? Losing weight or fixing your eating habits, such as eating healthier? It can be both actually, but overall, it should be about your eating habits - You should have a balance 'diet' lifestyle. If you are eating junk, it is going to be much harder to lose weight when 'dieting.' So, if you were to eat healthily, most likely you are going to lose weight due to the elimination of junk food, but it also depends on how much food you are consuming. Healthy food, in the long run, will benefit the body, & lowering your calories will MAKE YOU LOSE WEIGHT, regardless. •Food is complex to understand because there is so much information to gather. •Let's start with the basics, only the basics. That is: Calories. Calories contain nutrients. If you are consuming bad nutrients, it won't benefit the body in a good way, whereas good nutrients will benefit the body, making it healthier and performing better. •If you are eating a lot throughout the day, then you should know what the problem is. You are consuming too many calories than needed and it's not being put to use, therefore fat accumulates. •Track your food intake (MyfitnessPal *mobile app for tracking food*) to see how many calories you are consuming. Do this for about a couple of days and then make adjustments as needed. That is an effective way to track calorie intake and to manipulate the process. If you understand the foods you are consuming, losing weight will be much much easier! The point is, have a balanced diet. Do not consume excessive amounts of junk foods - Balance everything out, make sure the body is getting all the nutrients it needs to perform in a good way. •Food Programs: Everyone knows about food programs. There are a lot of meal prep services because there are so many food options to choose from. Seafood ranging to vegan food, what is better and healthier for the body?! It's a crazy thing to study but whatever you feel good with should be researched. I mostly eat meat, sometimes seafood, but lots of meats within my meals. Certain meats and seafood have better nutritional value. Like Salmon is rich, and white meat, for example, is the leanest type of meat, so chicken is one of my staples. The point is, find what works with you and stick with it and make adjustments. Vegan people have many ways to play around with their foods, perhaps having a better nutritional intake than most because they consume healthier options which have rich nutrients. Hope you get the point. •Don't Stop Eating Healthy or trying to Focus on Eating Healthier: There is where many people end up failing at, that is that they simply give up on the process. It should not be a chore, it should be a lifestyle choice. You should not be stressed about focusing on eating healthy, it should be mandatory. Of course, we all want to enjoy a good tasty sweet food item here and there but do it with moderation, not excessively consuming bad foods. •Treat ya self rather than indulging in junk food for no reason. I like to reward myself after a good workout or after a good week of dieting; I would indulge in any type of junk food til I'm satisfied, but won't go overboard. I'll repeat this every week or so just to maintain my sanity. Don't worry about dieting too much. I know a lot of people, including myself get worked up about nutrition and the food choices we have in front of us... For example, my household eats kinda poor as in they always have junk food around, and me personally, I gravitate towards healthier and beneficial options rather. You can work with anything you have though, remember about the nutrition, calories and consumption/moderation. Perhaps you can divide up those poor nutritional value foods (junk food) options so you don't just stuff yourself with junk food in one sitting. By dividing/splitting up the choices, you can effectively maintain a good diet and weight. Also, remember about food tracking - That is a good way to 'stop overwhelming yourself with food choices' because it gives you all the details you need to know about the foods you might be consuming. The nutrition - the calories, macro, and micronutrients. Very helpful! What People are doing that's wrong! Never go on a Diet where they tell you to consume way less calories than you should be consuming. That is a risky situation to go about. For example, the military diet is a restrictive calorie dieting method, restricting calories overtime to help with fat-loss. This is only starving yourself. Another good example is the Water Diet, only consuming water for "X" amount of hours or perhaps days. So, the moral of the story is: Don't STARVE yourself. They stop focusing on eating healthy for a long period of time. As I mentioned, it should be a lifestyle choice. If you want to look good and feel good, be committed and if not, you know the consequences! "PILLS / Tea's / Detox's"
Now there's a craze on a lot of social media platforms that tries to sell these "magic and wonderful weight-loss pills." These are especially targeted to women because they are more convincing... These pills, tea's or detox's are just fads. They do not really work but have the intentions of working. They may help a little but you can for sure get a better outcome by doing more research. Most of the pills, tea's and other supplements aren't high grade, so they are only for market use - meaning they are money hungry! Do your research before investing your money into these "Magic Pills/teas or detoxes." Stress, Recovery, Habits, (Lifestyle)If you are sleeping poorly, eating poorly, stressing all the time, these will impact the way you feel and perform. You must take EVERYTHING into account with having a healthy lifestyle. Sleep is part of Recovery, Recovery is Vital, if everything is off track, then how do you expect to get better! You need to fix things to progress. People aren't Working Out!Remember, if the goal is to lose fat, you need to workout. By dieting to lose fat, it's a really tedious process because your nutrition has to be on point. Also to point out that you probably need to be in a calorie deficient to lose fat daily... By working out, you intensify your fat-loss process. Everything requires energy, and if you are working out consistently and hard enough, you will burn fat easily! Water / Hydration is always a Must! - Lots of people drink too many sugary drinks. Sodas, tea's, Juices, you name it. Those contain a lot of sugar. Sugar consumption will lead to fat-gain if you aren't consuming sugar in moderation... So, replace those sugary drinks to atleast twice a week or so and drink more water! Hydration is the key for fat-loss, maintaining a good healthy body. It is okay if you ate a lot one day. We have the whole future amongst us! Have fun with your life, just don't go overboard with anything. That's the key. Don't do anything excessively. Do not feel hopeless, it takes time to lose weight and to get the physique you want. By working hard, you know progress is being made. Results aren't made overnight. Dieting is not hard, remember. It is how you approach everything. Recent Topic: Contrast Showes - Improve Recovery with this Method!